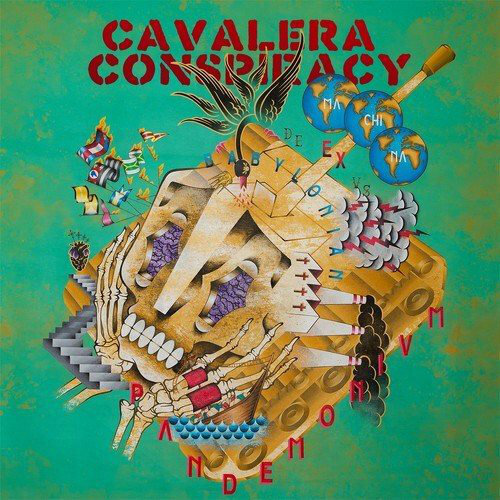 Only a few more months until the new album by Calvera Conspiracy is released. The band led by the two brothers, Max and Igor Cavalera, already completed work on their fourth album. The brothers said it was a mix of death and thrash metal following Pandemonium which was released in 2014. It is being produced by longtime friend Arthur Rizk via Napalm Records. The Cavalera brothers also played a big role in writing their own songs. Max Cavalera said he spent two months only on riffs. Once he had the best ones set aside, he started making music with those riffs. Once the riffs were turned into a full song, they started on vocals. The band is very excited to release this album after Pandemonium sold 2,600 copies in the United States in the first week. In 2011, Blunt Force Trauma opened with 5,000 copies, and their very first album Inflikted from 2008 had a tally of 9,000 copies sold. More can be found on MXDWN.COM. Currently the new album is in the final production stages and is set to be released in October.